Professional assassin Arthur Bishop (Jason Statham) is at the top of his game, an elite and merciless killer capable of getting the job done right and walking away without asking questions. The agency he works for specialises in making murders look like accidents, and all is going swimmingly until Bishop learns his wizened mentor of many years (Donald Sutherland) is in reality a double agent who must be eliminated. Following approximately seven seconds of soul searching Bishop agrees to take on the job, asking few questions as is his wont, though quickly learns the truth is a little more complex. Taking a confused and recently orphaned stoner (Ben Foster) under his muscular wing for no discernable reason, Bishop must stab, shoot and karate kick his way to the truth, if possible whilst shirtless or at the very least clad in the latest designer threads. Bishop is, as almost all lead characters in these films, a vision of manly perfection from the outset. He can have any woman he likes, drives a fancy antique sports car and lives in a charming secluded chateau on a picturesque lake. Happily given his choice of occupation he can also walk away from any job, and get in and out of any building or private residence ever constructed, without his presence being detected at any point. ‘There’s no one better than you,’ a bearded Sutherland informs his protégé at one point. ‘You’re a goddamned machine.’ So too, apparently, was the android who penned the script – only a robot, and a fairly unsophisticated one at that, could concoct a plot this formulaic in the second decade of the 21st century. 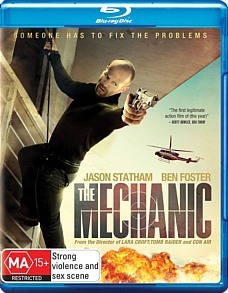 A hard-working but largely unsatisfying remake of the 1972 Charles Bronson film, The Mechanic combines all that’s best and worst about the action genre. It’s fast-paced and noisy, full of explosions, manly Eastwood-esque squinting and bad guys getting the stuffing knocked out of them in various inventive ways. The action sequences are expertly staged and undeniably thrilling – by this point Statham knows what he’s doing, as does director Simon West, whose previous credits include similarly naff adrenaline-fuelled blockbusters like Con Air and Lara Croft: Tomb Raider and whose next directorial outing will be The Expendable 2. The main problem with The Mechanic, however, is that it’s so wilfully and unrelentingly mindless, sacrificing lucidity for bombast at every conceivable turn. That may have worked to perfection in Con Air but it’s endlessly frustrating here. From the outset the plot makes little if any sense – why didn’t Bishop even think to question the accusations of his shady boss, especially when they concerned a close friend of several decades? Why on earth would he agree to help Foster’s out of the goodness of his heart when he’s supposed to be a merciless, cold-blooded assassin? And how, even under this expert tutelage, did Foster become transformed almost overnight from an unemployed wastrel into a human wrecking ball, dispatching enemy after enemy his puny fists of fury? I’m sure I don’t know. 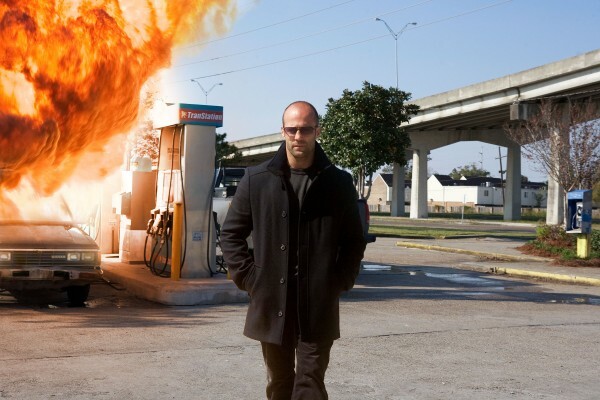 The Mechanic is entertaining enough, and Statham, Foster and Sutherland all put in accomplished performances. Ultimately though there are few surprises, a number of monumental plot holes and an unrelenting sense of ‘been there, done that’ that mark this outing as the action equivalent of paint by numbers. Picture quality is pristine, as you’d expect from a feature shot in HD, and the high octane 5.1 surround soundtrack is as pounding and pulsating as could be hoped for. Also available are descriptive narration for the vision impaired and descriptive subtitles for the hearing impaired. No ordinary subs available though. Not much on offer in this regard, just an alternate ending to the opening sequence (that was evidently deemed insufficiently stunt-ridden) and four extended scenes. All up they run just over ten minutes.